I have had many readers request that I post more tutorials on basic editing techniques, so here is a new one using the Levels adjustment layer in Photoshop and PSE. Levels is an incredibly powerful editing tool, and I am going to post a series of tutorials to make sure you feel comfortable using it on your own. Today I want to show you how using a Levels adjustment layer is a great method to brighten/darken/add contrast to your images. 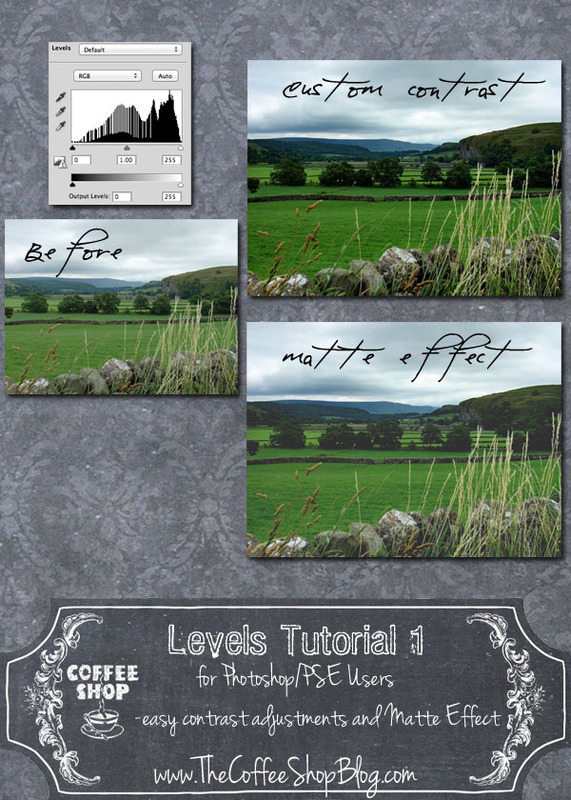 I also will show you how to add the popular "matte effect" with one simple layer. I am using this nice image I found on Pixabay. I wish this was the view outside of my window! In this tutorial I will not make any adjustments to the sliders on the Levels adjustment layer except on the Matte Effect. 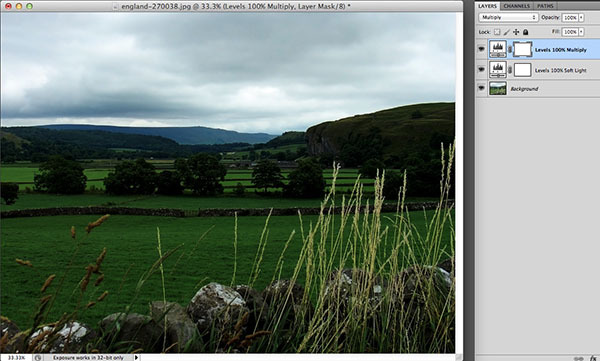 I am simply adding the Levels adjustment layer and changing the blending modes of that layer. To selectively remove the effect of that layer, use a soft black brush on the Levels adjustment layer's white layer mask (that was a mouthful). 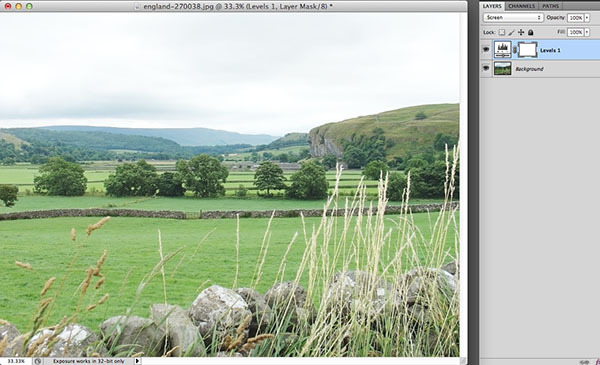 Add a Levels adjustment layer, making no adjustments to the sliders. If you want to darken your image, put it in Multiply blending mode and adjust the opacity. You can also paint on the layer mask with a soft black brush to remove the darkness where needed. 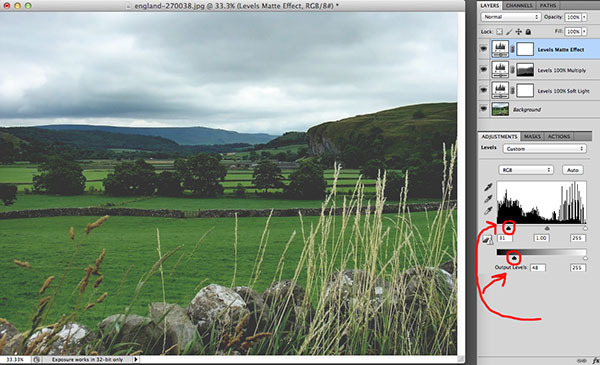 To lighten your image, put the Levels adjustment layer in Screen blending mode and adjust the opacity. If you want to add contrast, put the Levels adjustment layer in Soft Light or Overlay blending mode and adjust the opacity. You can combine the layers and paint on the layer masks. I want to add contrast to this image but also darken the skies to make them more dramatic. I added a Levels adjustment layer in Soft Light at 100% and a Levels adjustment at Multiply at 100%. The sky is nice but the foreground is too dark. 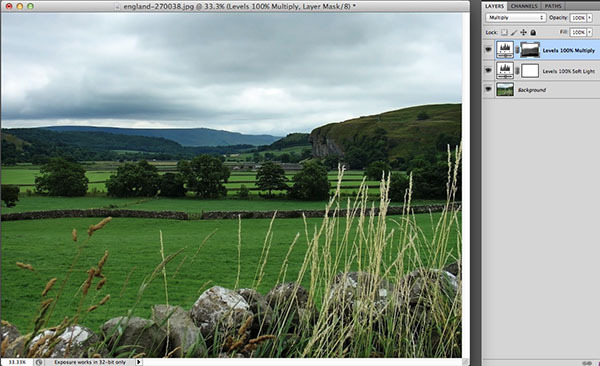 I need to mask out the foreground from the Multiply layer. To lighten the foreground, I used a soft black brush, clicked on the Multiply layer mask, and painted on the layer mask to remove the darkness on the field. I like this edit, it is very dramatic. 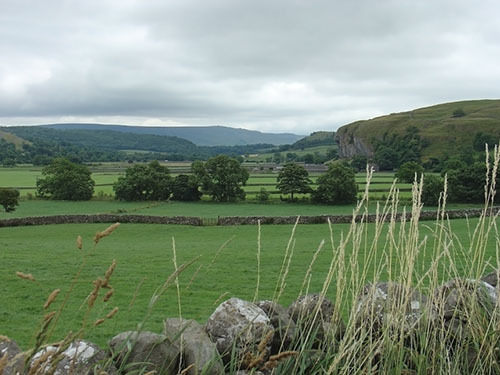 Matte Effect: You can take it a step further and apply the popular matte effect. Add a new Levels adjustment layer on top. 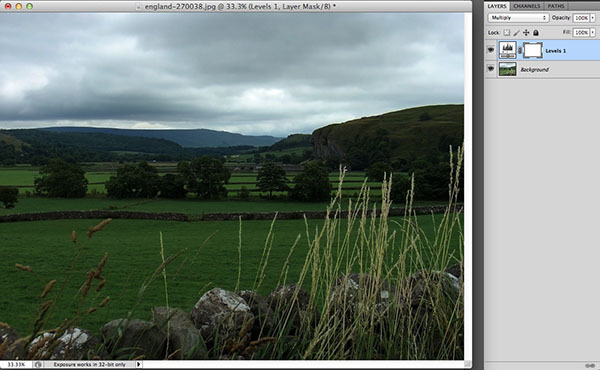 On this one you will adjust the sliders and keep the layer in Normal blending mode. Move the Output Levels black slider to the right until your image is low contrast, and move the Shadows (black slider on the left under the curve) to the right to darken the blacks. Play with these two sliders until your image is perfect. Easy, right? There are so many ways you can use the Levels adjustment layer to easily edit your images and I have just touched the surface. If you have a question about a basic editing technique, please leave a comment and I will try to write up a tutorial!